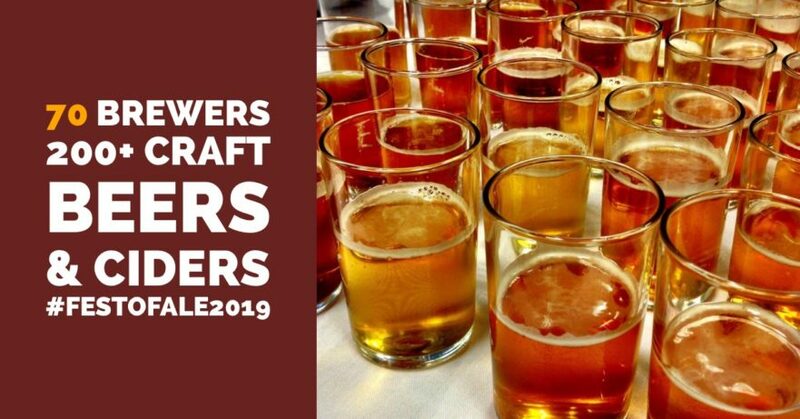 Enjoy craft beer and cider from 70 BC based breweries and cideries at the 2019 Okanagan Fest of Ale! Of the participating breweries, 15 are new to the event, 6 will be featuring craft cider, and many will be offering new seasonal releases, collaborations and beers created especially for the festival. The group is a nicely balanced mix of returning favourites, new, and soon to be up and running breweries from neighbourhoods across the province and we can’t wait to welcome them to the Okanagan Fest of Ale in Penticton April 12 & 13, 2019. Make you plan to join us today – pick your tickets up in person at the Valley First Box office at the South Okanagan Events Centre in Penticton or online at ValleyFirstTix.com Single Day Admission $29; Weekend Pass $49; Check out our Sip & Stay Packages from $125/couple. Operating as a non-profit society, and managed by a Volunteer Board of Directors, the Okanagan Fest of Ale Society hosts an annual Consumer Craft Beer Festival that functions to support and promote the growing craft beer industry, enhance local tourism, and donate to charitable organizations within the South Okanagan Similkameen region. Since its inception, $697,660 in net proceeds has been gifted back to qualifying registered charities and other not-for-profit societies.